PASS is an online system for viewing the class schedule for the upcoming quarter. 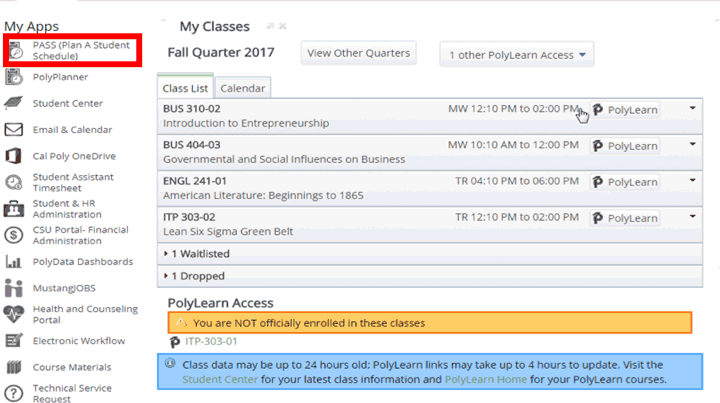 Users with a Cal Poly account can access PASS through their portal, which allows them to build and save schedules for registration. Access PASS without a Cal Poly account. 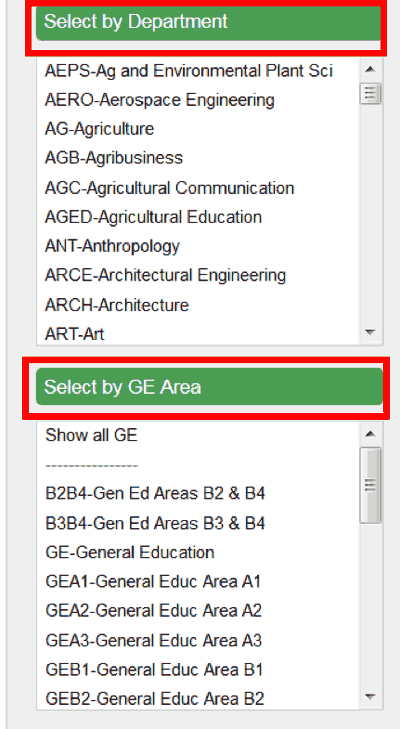 Step 2: Select classes from the Poly Plan listed in the center of the page or by department or GE Area listed on the left hand side. *Note: You can filter searches by checking the boxes listed above “Select By Department” or setting your availability for the quarter.